Anyone else feel a little underwhelmed at 2014’s gaming offerings? I don’t know: wasn’t this supposed to be the year of next gen greatness? It’s not to suggest that there weren’t any good games this year–far from it–it’s just that there weren’t as many crushers as last year. You know what? That’s exactly what it is: we got our collective noses broken by so many delicious gaming tasties in 2013 (The Last of Us, Bioshock Infinite, Papers Please, Gone Home, The Stanley Parable, etc.) that 2014 was always going to look like last week’s tapioca. Temper that with the tragically shameless number of diabolical let-downs and cashgrabs that peppered 2014 (Watchdogs, Assassin’s Creed: Unity, Sonic Boom, Dungeon Keeper Mobile, etc), and it isn’t difficult to see why so many gamers are having trouble getting too worked up over anything this year. It isn’t all bad, though: it rarely ever is. In fact, there were plenty of great games in 2014. What sort of a crazy year are we looking at, for example, that people like me are cursing the fact that they don’t have a Wii U?? My lack of a Nintendo aside, both the AAA and Indie scene alike had plenty of amazing entries–entries that are definitely worth celebrating. So with that deep inhalation of positivity fumigating our lungs, it’s time to march bravely onward through my favorite games of 2014. As I mentioned in 2013, I try to avoid the “Best” and “Worst” designation based simply on the fact that I am only one man. A devastatingly handsome man? Of course. A brilliant man of rare insight and intellect? Without a doubt. But one man, all the same. 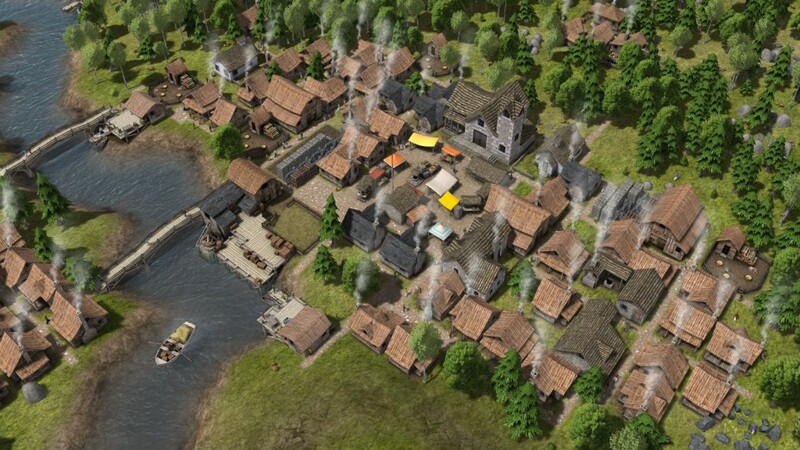 Banished — Banished is one of those heavily addictive, brutally difficult city builders that I find myself drawn to like a moth to a glowstick that’s been dipped in kerosene and set on fire. So expertly implemented are its more addictive qualities (and all by a single programmer, I might add) that I’ve pondered in the past if I truly love this game or if I’ve just been tricked by a game designer who moonlights as a manufacturer of Schedule II narcotics. Whatever the underlying cause of it all, I absolutely adored building a city from scratch, watching it all crumble to cinders (sometimes literally) and then starting all over again. 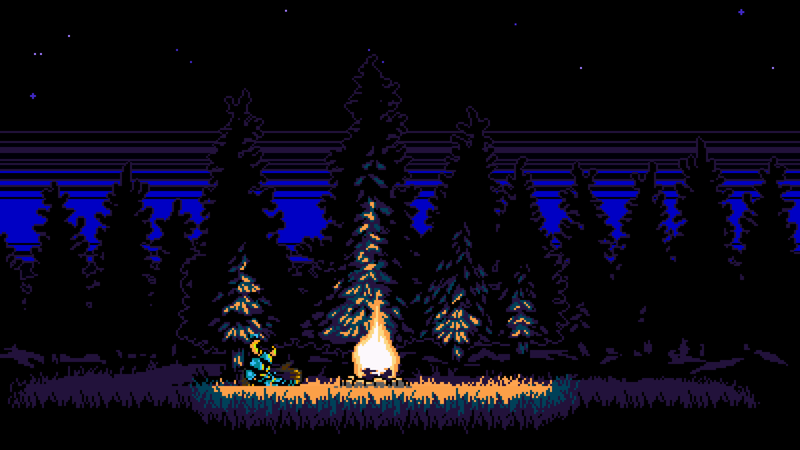 Shovel Knight — When it comes to Shovel Knight, terms like “love letter to the NES age” get thrown around a lot. And that’s because nothing encapsulates it better. This Frankenstein’s monster of Mega Man, Castlevania, and Duck Tales doesn’t just tilt the hat to 8 and 16 Bit games of old, it improves on them. The superb, chiptune-style soundtrack, for example, evokes just the right feeling of classic Nintendo, despite the fact that its complexity would have been basically impossible in 1986. Throw in the wrought iron difficulty of NES with a modern sense of humor and style, and you’ve got what I would argue is the best platformer of the year. 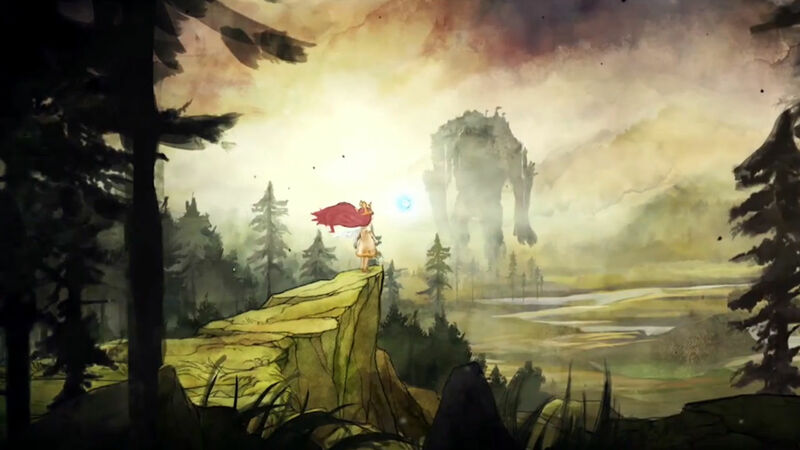 Child of Light — Who says Ubisoft can’t do anything right? …that many of you, huh? Well, despite that, Child of Light is still a gorgeous experience that’s worth playing. It’s a dreamy, melancholy fairy tale wrapped around a rudimentary JRPG style combat system, all set in a gorgeous world of watercolors and fairies and giants. While it’s true that the rhyme-scheme style of dialogue did prove to be too much for some gamers, I found that it added to the whole experience. I played it through a couple of gloomy, rain-soaked days in May, and it’s one of the best mood pieces I’ve played since Brothers: A Tale Of Two Sons, particularly during that sort of weather. I’m not one for carelessly tossing the world “whimsy” around like fistfuls of plastic beads at Mardi Gras, but you’d be hard-pressed to find an adjective that better summarizes Child of Light. South Park: The Stick Of Truth — With its style, design, cast, and soundtrack, South Park: TSOT is, without a doubt, one of the best franchise games I’ve ever played. It’s level of pure authenticity rides on such a gargantuan wave of pure South Parkery (it’s a word, dammit!) that Matt Stone and Trey Parker could have released it as their latest season, and I doubt that many people would have made too much of a fuss. And while its game mechanics might not bring much innovation to the table, it’s clear that South Park’s vicious blend of satire and toilet humor made it unnecessary to reinvent the wheel. So while the latest turn-based JRPG might not lose a lot of sleep over this entry into the world of hit points and fart magic, South Park: The Stick Of Truth can easily be called the funniest game of 2014–if not one of the funniest in video game history. Hearthstone — Aside from a random twitch of the gland in my brain that causes all nerds to buy the occasional pack of Magic: The Gathering cards, I’ve never been much for collectible card games. And despite my enthusiasm for WoW in the past, I didn’t feel much of a draw to Hearthstone when it was initially released. But true to form, Blizzard Entertainment proved themselves to be the nicotine of the gaming world, with all the quiet little hooks that draw you in with the promise of fun and fireballs. 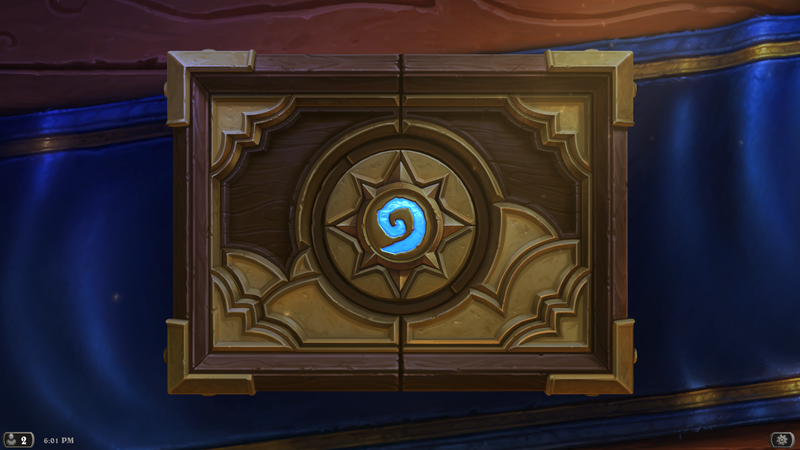 Hearthstone is free-to-play done absolutely right. With their focus on a simple but stylish ruleset, the offered microtransactions feel like reasonable options instead of pay-to-win or flat out harassment. It’s that sort of entertainment that people will happily pay for once they’ve had a chance to get their feet wet, and one can only hope that other gaming developers take notice of this excellent example. And with the recent, wildly popular release of their first full expansion Goblins Vs. Gnomes, Hearthstone doesn’t appear to be going away any time soon. Endless Legend — With the release of heavy-hitting world builders like Civilization: Beyond Earth and Age of Wonders III, Endless Legend was a left hook touchdown line drive down center field that took everyone off guard (I’m not good at sports metaphors). 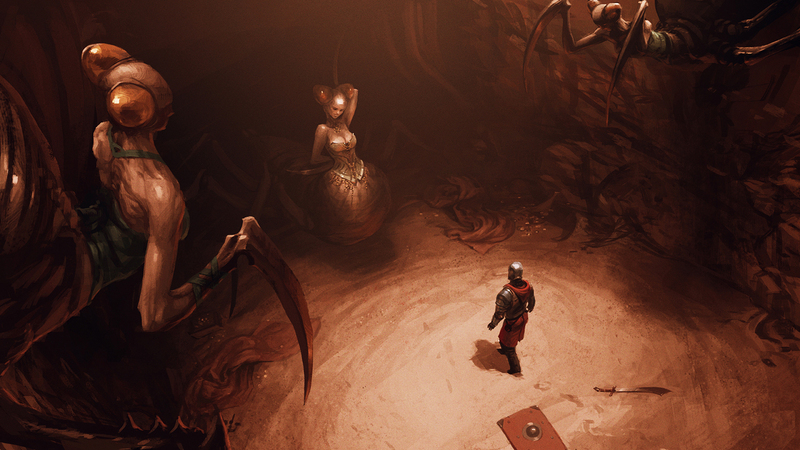 Simply put, no one in 2014 played the 4x game as well as Endless Legend. It’s not even enough to start a comparison by claiming that it initially resembles other fantasy strategy games on a superficial level, because it does not. This game is not content to give you half a dozen human-style civilizations, an elf or two, a dwarf, and maybe an orc in the expansion pack. Instead, you have a collection of dramatically different races to play as, and even more to befriend and assimilate into your culture. Each civilization has a hugely different playstyle (none of this “+1 food per turn” or “+1 movement square per unit” crap), with entirely unique goalposts to aim for. Endless Legend is exceptionally weighty and entertaining, and my only regret is that I discovered it so late in the year. Alien: Isolation — This is everything I adore about survival horror: helplessness, story, and so much atmosphere you could chip your tooth on it. Penned by, among others, the great Dan Abnett, Alien: Isolation is absolutely everything I was hoping it would be. It’s grim and beautiful and so frightening that I’m having trouble concentrating just thinking about the goddamn thing. With strategically-placed savepoints (no worthwhile autosave for you, my friend) and entire levels dedicated only to the creation of mood and tension, there is a subtlety here that you simply don’t see very often in AAA games these days. You’re not a gritty prizefighter or a veteran marine–you’re an engineer. You’re vulnerable and afraid, and can only rely on your wits and the occasional handful of scrap metal in order to escape a wet, drooling Satanbeast that (unbeknownst to you) hunted your mother some decades before. 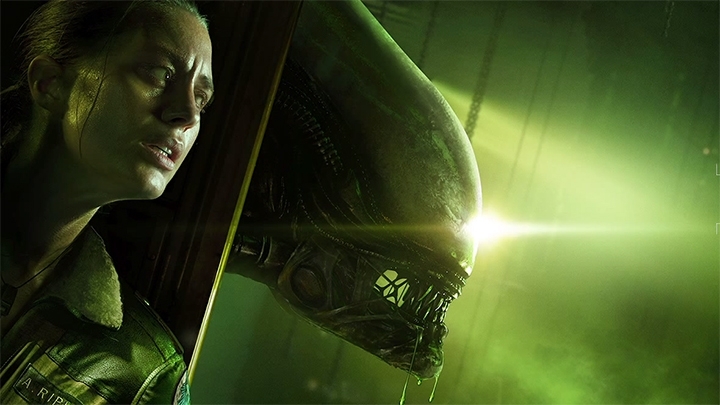 Alien: Isolation scared the hell out of me, and I’m willing to bet it’ll do the same to you. So that’s my list for 2014! I hope you enjoyed it, and that you’ll take a minute to post your favorite games of 2014 in the comments section below! Or, join my Steam group “Conquistadorklings” and tell me and everyone else what you thought there! In the meantime, let’s all aim for a happy 2015–or a least one where you retain most of your digits and vital organs! ← The Best and Worst That I Read in 2014! I really, really need to finish South Park. I was enjoying it quite a bit when it came out but I never went back to it after I drifted away a bit. If it came out on Xbox One I’m sure I’d play right through it, but I don’t play much on my laptop anymore. You know, I was genuinely surprised at its length–it clocked in for me at around 15 to 18 hours, which isn’t terribly long for a AAA game, but massive when it comes to keeping the jokes fresh. I’d definitely recommend giving it another go.